Description: group of beautiful women talking at nightclub. 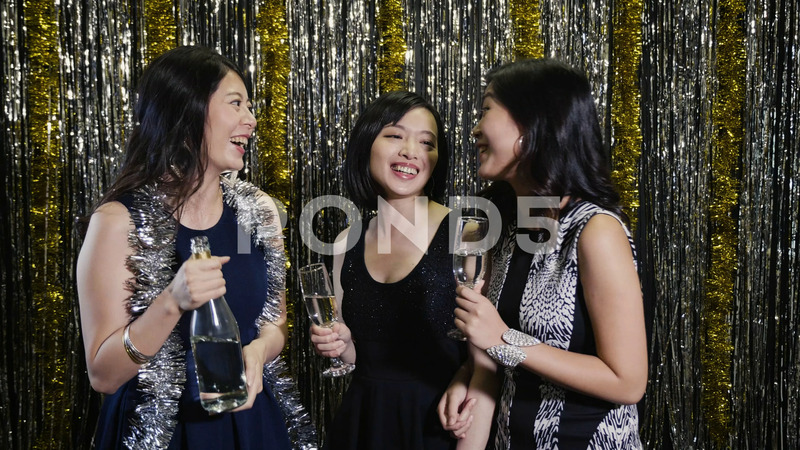 young asian people love alcohol holding a bottled of champagne. party ladies enjoy girl's night at club.